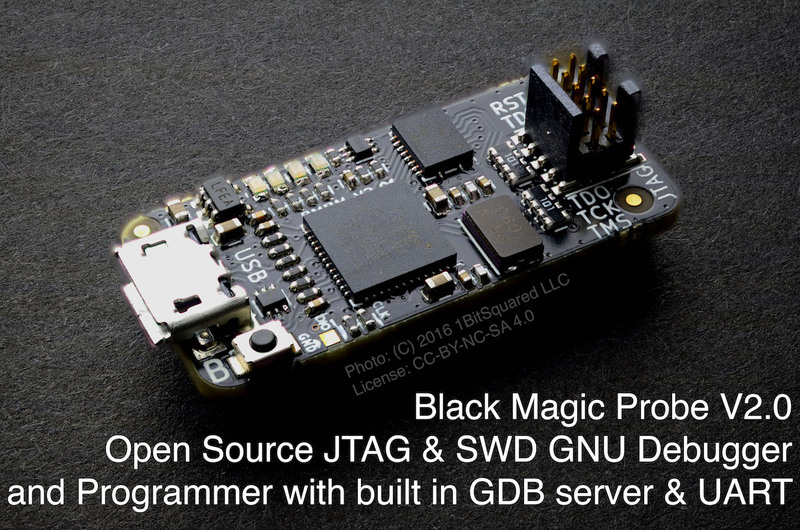 The Black Magic Probe is a modern, in-application debugging tool for embedded microprocessors. It allows you see what is going on 'inside' an application running on an embedded microprocessor while it executes. It is able to control and examine the state of the target microprocessor using a JTAG or Serial Wire Debugging (SWD) port and on-chip debug logic provided by the microprocessor. The probe connects to a host computer using a standard USB interface. The user is able to control exactly what happens using the GNU source level debugging software, GDB. Connects to the target processor using the JTAG or Serial Wire Debug (SWD) interface. Provides full debugging functionality, including: watchpoints, flash memory breakpoints, memory and register examination, flash memory programming, etc. Semihosting / Host IO support as well as Serial Wire Debug TRACESWO support. Interface to the host computer is a standard USB CDC ACM device (virtual serial port), which does not require special drivers on Linux or OS X.
Implements the GDB extended remote debugging protocol for seamless integration with the GNU debugger and other GNU development tools. Implements USB DFU class for easy firmware upgrade as updates become available. Works with Windows, Linux and Mac environments. Load your application into the target Flash memory or RAM. Single step through your program. Run your program in real-time and halt on demand. Examine and modify CPU registers and memory. Obtain a call stack backtrace. Set up to 6 hardware assisted breakpoints. Set up to 4 hardware assisted read, write or access watchpoints. Set unlimited software breakpoints when executing your application from RAM. 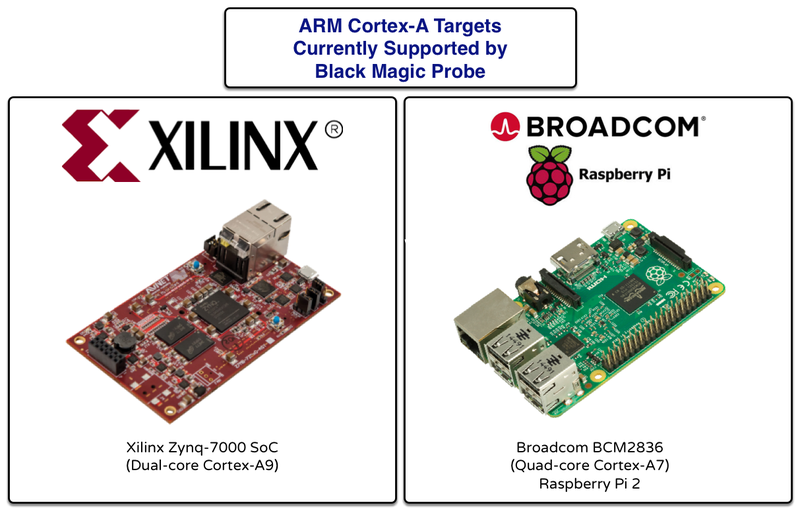 The Black Magic Probe firmware supports a large selection of host hardware. You can find an in depth description of supported Debugger-Hardware on its own wiki page. 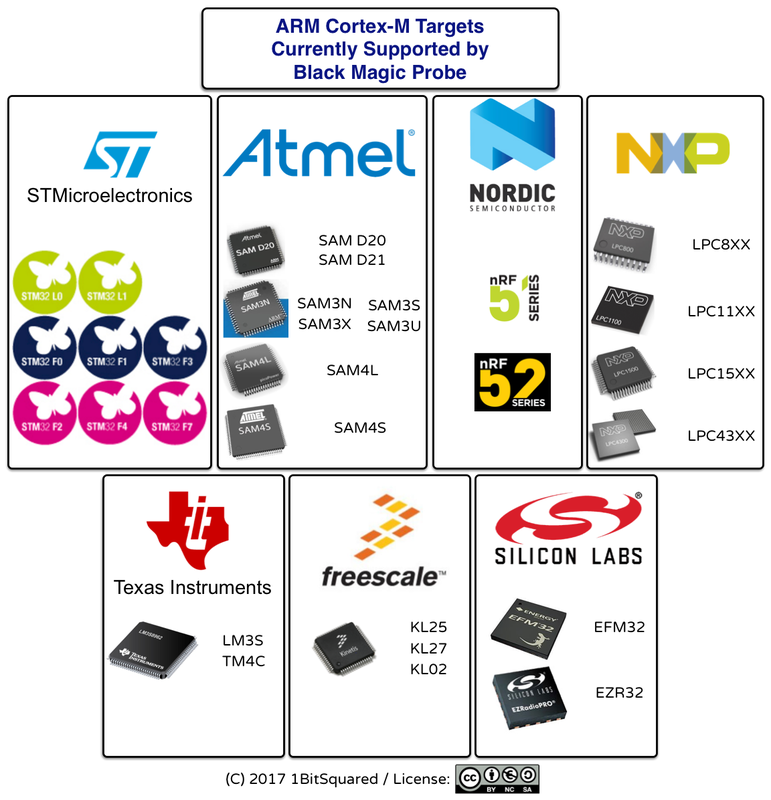 There is also "native" hardware which you can buy from a few vendors, and it was specifically designed with Black Magic Probe in mind.